“Most importantly, I am committed to ensuring that a very comprehensive reform is carried out in the House of Representatives to clean up the budgeting system and sanitise other activities of the House in terms of oversight and investigation. According to NAN reports, Hon. Abdulmumin Jibrin, former chairman, House of Representatives Committee on Appropriation, on Wednesday met with Presidential Advisory Committee on Corruption over the budget padding allegation against principal officers of the House of Representatives. 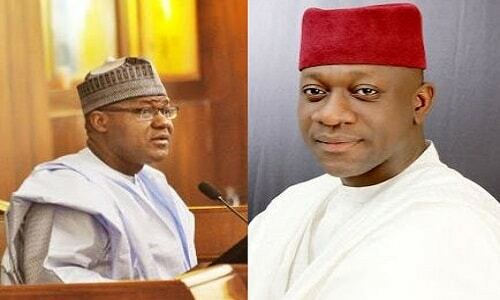 Jibrin told newsmen shortly after a four-hour closed door meeting that he briefed the committee on the allegations against Speaker, Yakubu Dogara and some other principal officers of the House. The former Appropriation Committee chairman reiterated his commitment to ensure that justice prevailed over the matter while maintaining a firm position against corruption. “Beyond the House, the country will be the biggest beneficiary and the winner at the end of the day,’’ Jibrin said. Jibrin said that he made significant revelations in response to questions raised by the members of the Presidential Advisory Committee on Corruption. The lawmaker, who further sustained his call for Dogara’s resignation, noted it would pave the way for an independent investigation into all the allegations so far levelled against the lawmakers. According to him, the weight of allegations against the accused principal officers and the fact that they have not responded till date justifies the call for their resignation. “Of course the Leader of the House, Femi Gbajabiamila has led by example by submitting himself to the police for investigation. “I want Nigerians to understand that the whole thing is not only about Dogara, it is about changing the system and reforming the House of Representatives. “If some members of the House or Nigerians feel that Dogara should continue to call himself the number four citizen of this country, so be it. “I have done my own part, I have exposed corruption, I have submitted petitions to the anti-corruption agencies and have done other things within my control and in the control of other members of the national assembly that believes in this course. “We would continue to do all that we can to ensure that justice prevails in this matter involving Speaker Dogara, Deputy Speaker Yussuff Lasun and the Minority Leader, Leo Ogor,’’ he added. Hon. Jibrin had accused the leadership of the House of Representatives of padding the 2016 budget to figures estimated at several billions of naira. Allegation of corruption against the lawmakers had polarised the House and thrown the ruling All Progressive Congress (APC) into a crisis. Hon. Jibrin had also previously appeared before a committee of top party officials at the APC headquarters in Abuja. Justin has a lot of points that cannot be waved aside, listen to him or we continue in the darkness of corruption.